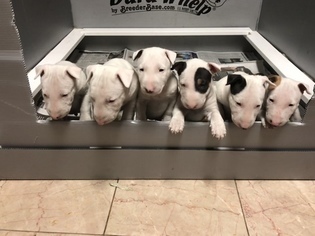 Puppies were born on September 5, 2018, and are AKC registered. New owners will have full rights. Puppies are $1700 &amp;amp;amp; have had their first shots and de-wormers. 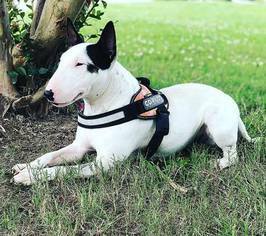 We are located in VA Beach, VA. She has all white body, 2 blk ears, and a sp ot on side of her face.I have a solid white male, 1 solid white female, 1 white female with 1 blk ear, 1 all white female with red ears, &amp;amp;amp; one 1 white with a partial brindle ear. 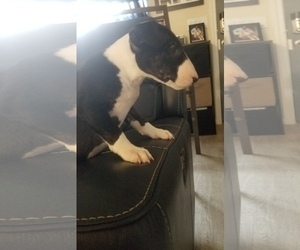 If interested, send me an e-mail and I can also e-mail you both pedigrees. All white male, he does have a hernia and vet said it needs to be watched. Could have happened by the mother when pulling on umbilical cord to hard at birth. 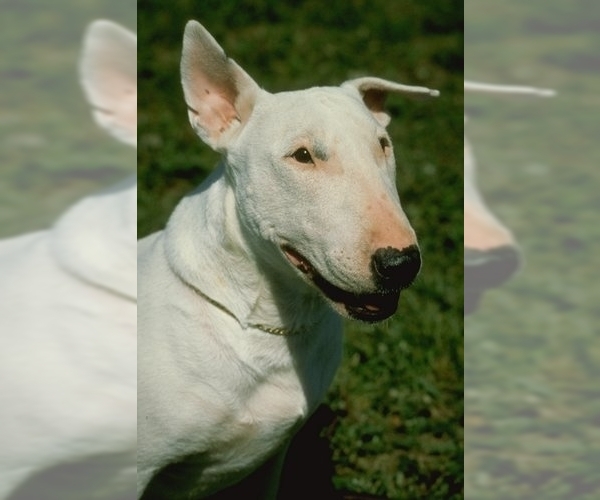 Sam is an all white male with solid red ears. He has also won a couple of championships. He comes from a champion bloodline. 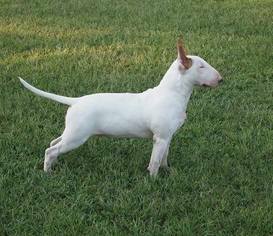 Monroe is an all white female with solid black ears &amp;amp;amp; has a tan and blk spot on her face. She comes from a champion bloodline. 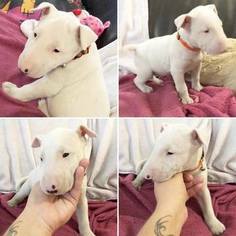 Posted Breed: Bull Terrier. Adoption Fee: 250.